Boise State University | Bring the Universe to Boise State! Thank you so much to everyone who supported our campaign. 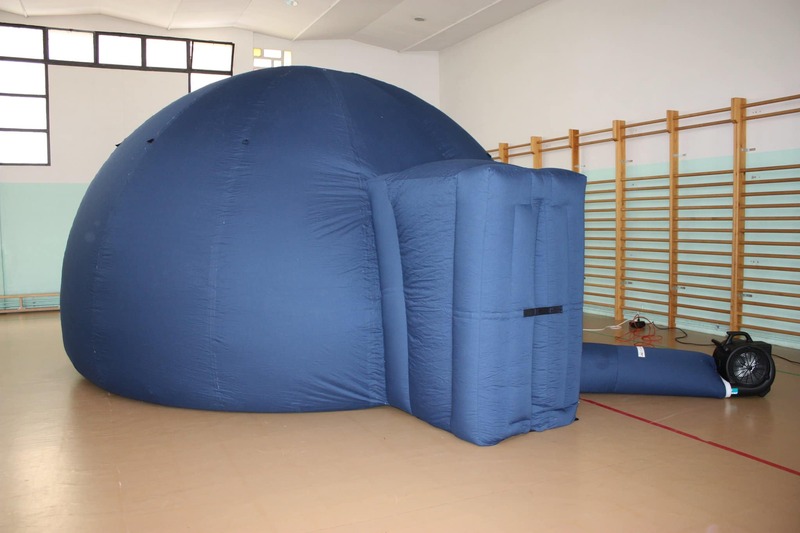 Although the PonyUp campaign has ended, you can still support the Portable Planetarium project. If you would like to make a gift, please go to give.boisestate.edu and search for AR277 in the fund ID at the bottom of the page. The magic of stepping into a planetarium for the first time is unlike any other astronomical encounter. With the click of a button, a planetarium operator can re-create the night sky in ways impossible in real life, giving a totally unforgettable experience for children and adults alike. Portable digital planetariums are the state-of-the-art -- their digital projectors create crisp imagery and animations, and their portability allows a much broader reach than fixed installations. Even the most economical planetariums can cost many tens of thousands of dollars, though, putting them beyond the reach of most outreach programs. But the advent of new computer and projector technologies has changed the game. Boise State Physics plans to purchase a new portable digital planetarium system. Consisting of an inflatable dome (similar to a large tent), specialized mirror rig, and standard high-definition projector and laptop, the system is as capable as a standard digital planetarium but at a fraction of the cost. Where the standard system might cost $20k for the projector alone, our whole system is slated to cost less than $17k! Idaho is blessed with unusually dark skies and hosts the only International Dark Skies Reserve in the US - http://www.idahodarksky.org/. Located in central Idaho, the Reserve constitutes a collective commitment by communities, public land managers, and private landowners to support a unique tourism and educational resource. As part of its popular STEM outreach effort, Boise State Physics will take the planetarium to schools, community centers, and public libraries across the state, especially in the Reserve and other rural areas where STEM outreach is limited. Our program will mirror closely a program run by University of Washington’s Astronomy Dept. -- http://depts.washington.edu/astrobio/drupal/content/planetarium. Here’s where you come in. We want the Boise State Planetarium to be a community resource for teaching and public outreach, and so we’re asking for public donations. As a reward, we are offering gifts, from VIP access to our monthly astronomy events to a private planetarium visit (once it’s completed). A donor contributing $7,500 will be invited to name the planetarium! So help Boise State University advance its mission of public service and education. Help us bring the universe to Boise State. 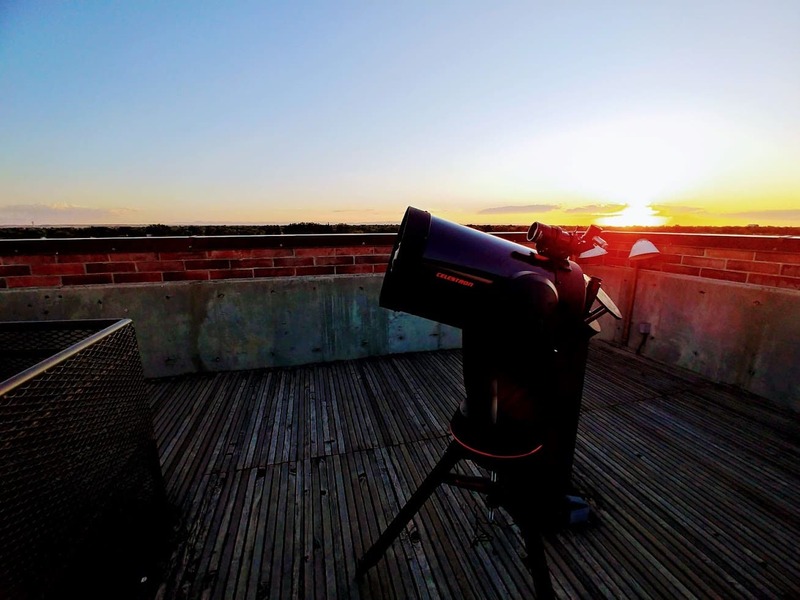 Donors at this level will be VIPs at one of our monthly public astronomy events, including dinner with our guest speaker and a private tour of the on-campus observatory. Subject to logistical restrictions, donors at this level will be invited to schedule a private planetarium visit with Brian. Brian will show up at your star-gazing party and bring his telescope and you will get a copy of the book _Chasing New Horizons_ about NASA's mission to Pluto signed by one of the authors, Dr. Alan Stern. One donor at this level will be invited to name the planetarium (subject to approval).